Keep reading, for more expensive options. People often mistakenly think that Audrey Hepburn sunglasses from breakfast at Tiffany’s are a form of Ray-Bans. They are in fact Oliver Goldsmith – Manhattans. Also they are NOT black sunglasses, but are a dark tortoise shell that looks black in certain lighting. The Manhattan is the replica of the beautiful sunglasses famously worn by Audrey Hepburn as Holly Golighty in Truman Capote’s ‘Breakfast at Tiffany’s. The movie was about a playgirl who was wayward and glamorized style in only an attempt that Truman Capote could’ve realized. The famous sunglasses were once embodied by the movie’s iconic star Holly Golightly. The Manhattan’s above are the real replicas, however, many people complain that they aren’t exactly the same as the movie’s. I don’t really believe this. However, if you are in this boat, this brand is proclaiming that their replica sunglasses are the best replica on the market – that being their Holiday Golightly® Sunglasses. I really do like these sunglasses, they look EXQUISITE! Dark Tortoise Frames. Vintage breathed sunglasses. Smoke Glass lens. 100% UV Protection. Handmade in Italy just like they should be. If you can’t afford the $450 Oliver Goldsmith Sunglasses or are looking for a slightly different look then you better check these incredible options out. If you haven’t heard of Celine Sunglasses, do yourself a favor and google them, they are also another $410 pricetag shocker! However, their shape is carefully modeled after the Audrey Hepburn sunglasses that were worn in the film. Now conveniently I have found the same glasses at the fraction of the price. These lovely looking spectacles are large oversized horn rimmed sunglasses that feature 3 tiny rivets on each corner of the hinges. The hinges sit high along the temples. The subtle subdued colors and large oversized silhouetted figure make this a wonderful choice for the warm and sunny season! Get these if you are on a budget, if you don’t like them for some odd reason (i have two pair), they only cost you $159.99 . That sure beats a $400 price tag!!! I am now personally promoting these ones from my site, so pick them up with confidence. I found some ones on Amazon that are a little bit lacking in quality but are actually really affordable and they look identical to the Celines! They only issue is that the hinges are a bit “sticky feeling” and are a little cheap. Aesthetically, they are the same! Yay! HOWEVER, if you want brand new Celine Sunglasses and pay a fraction of the shocking $400 price tag, then you need to see the sunglasses below. This isn’t exactly like Audrey’s sunglasses, but it’s a nice edition and the front frame is inspired from the look. To make any look complete, the Ray-Ban Erika RB4171 sunglasses are the perfect accessory to help in your stylistic ways. They feature both bright and classic rubber fronts, metal temples and the temple tips are tone-on-tone which adds to the continuity and a polished feel to the glasses. Ray-Ban Erika sunglasses will distinguish you apart from everyone else while keeping you looking classy and stylish as ever. The metal banding is a little bit different from what Holly Golightly would wear, however, if you want a slightly different look or edge while still keeping things classy, then this is the perfect trick. The oversized Round Sunglasses shape gives that extra feminine shape we are after along with extra coverage to protect the eye area. Also, the glasses are 100% UV protection which is expected from all rayban products. The bridge is soft as well and I feel that it adds a twist to the overall design. The different frame colors will help you personalize your style along with the assortment of lens treatments which include the following: brown gradient, grey gradient, and green gradient. Go for the green or brown gradient! always classy. Since Holly is seldom without her dark sunglasses, and these glasses quite clearly stop people from really seeing what’s going on behind them because you really need to see the eyes to read somebody. In a way, her glasses are another form of mask that she wears to hide and protect her true self. Her eyes are at most time constantly covered up, making it extremely challenging to know what she’s sensing at any given time… you know the saying about how the eyes are the window to the soul, right? The dark sunglasses represent yet an additional way out of many for Holly to repress those around her from becoming too intimate and the sunshades are a literal and physical outlet for her to hide away from others and to prevent herself from being exposed and vulnerable. They serve, in many ways, as a mask as stated above. I believe that a major theme to Breakfast at Tiffany’s is the theme of a mask. For example, other masks appear in the story as well, specifically in the scene when Holly and Paul steal dog and cat Halloween masks from the 5 and 10 store. After they steal them, they wear the embezzled masks all the way to their home, again these masks are literally and figuratively concealing their true identities from one another and from the whole world everywhere. The novel is crammed with men and women trying to hide behind something, and for Holly Golightly it is something as clear as a simple mask. Oliver Goldsmith obviously did not invent the sunglasses, however, they did cause them to become a fashion necessity/ accessory. Starting from the 50’s and onward, their signature sunglasses have bejeweled almost every major style icon and celebrity. 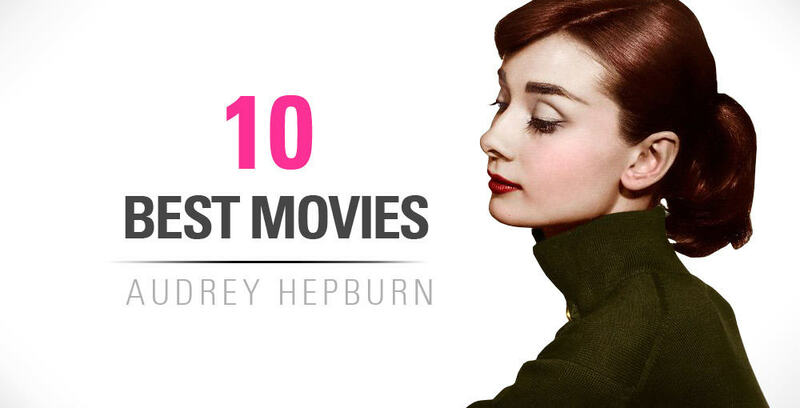 Think of timeless icons like: Audrey Hepburn, Grace Kelly, Jackie O, Michael Caine, Sophia Loren etc. Oliver’s great-granddaughter Claire Goldsmith has continued the legacy set forth back then. The sunglasses have the same pride, craftsmanship, and quality than ever before in any handmade eyewear. These sunglasses do not speak through annoying logos that say “I’m cool” but by beautiful, elegant design that portray a certain personality. These sunglasses are both bold and chic at the same time. The Koko Sunglasses ( made in 1966) are a round, oversized sunglasses. Italian handmade of robust and ample acetate as a coating, it showcases wide and distinctive paddle temples which are designed for premiere comfort for the wearer. Also, the riveted hinges are real and hand drilled as any good, expensive, quality shades should be. From the design perspective, this enlarged round eye follows on from the ‘Audrey’ (another O.G. Sunglasses) designed a few years back but is bigger and comfortable. Anti-scratch Zeiss Sola Sun Lenses with coating. This provides ultimate protection and the clearest vision. Real riveted hinges drilled by hand for extreme strength and durability. These glasses aren’t a perfect replica of Audrey’s O.G. Koko sunglasses, however, these are pretty close and have the same shape! And at the same time, they are very cost effective! In 1999, “LianSan” sunglasses brand was invented in China. They have concentrated on high quality sunglasses for many years while being at economical prices. All LianSan sunglasses fulfill US FDA and ISO standards for optical and mechanical performance. These sunglasses were uniquely designed for Audrey Hepburn for the movie “Two for the Road” and due to their popularity and demand, they were later put into production. These specific glasses are not available anymore because Oliver Goldsmith has discontinued them. Previous articleMake your own Holly Golightly Apartment!